Presenters from MA Board of Underwater Archaeological Resources help fair attendees excavate an underwater site. 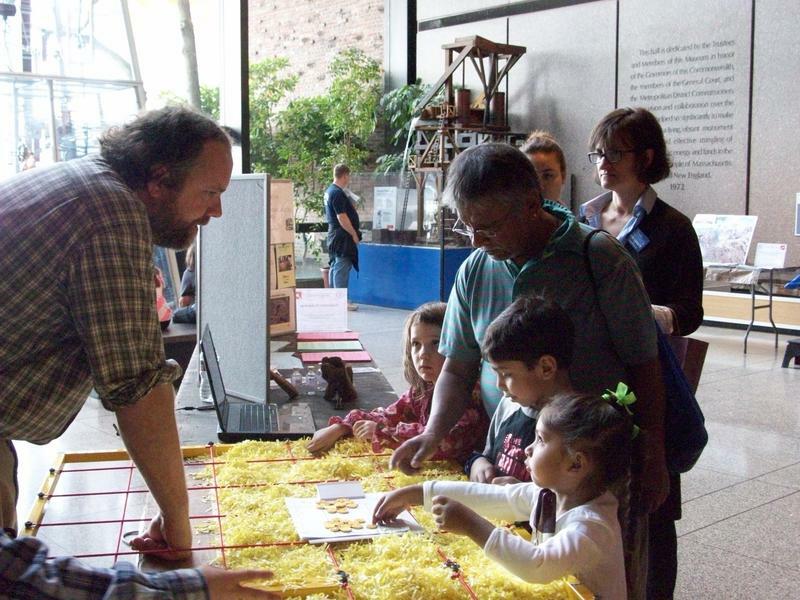 The AIA was pleased to help Massachusetts celebrate Archaeology Month and National Archaeology Day with the 6th Annual AIA-MOS Archaeology Fair, which took place on October 19th and 20th at the Museum of Science, Boston. 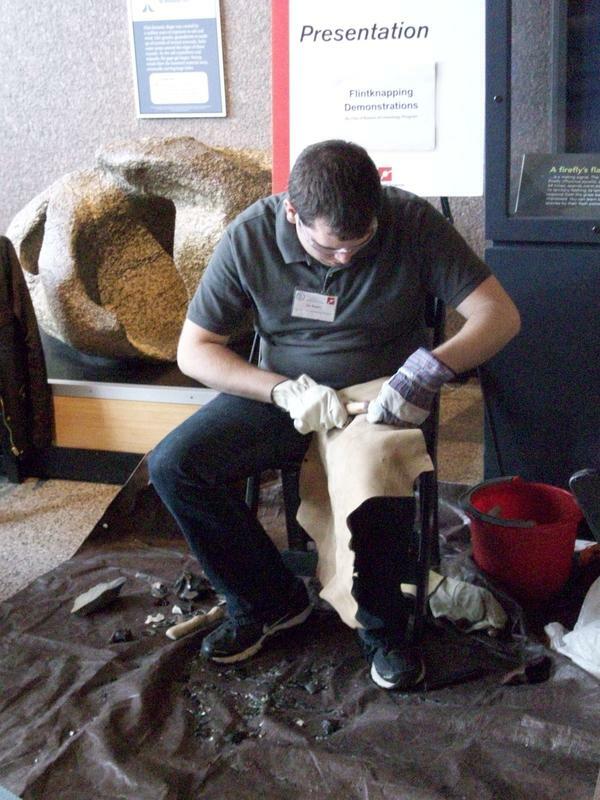 This two-day event provided school groups, children, and families with the opportunity to explore the exciting world of archaeology through a variety of interactive activities, demonstrations, and games. 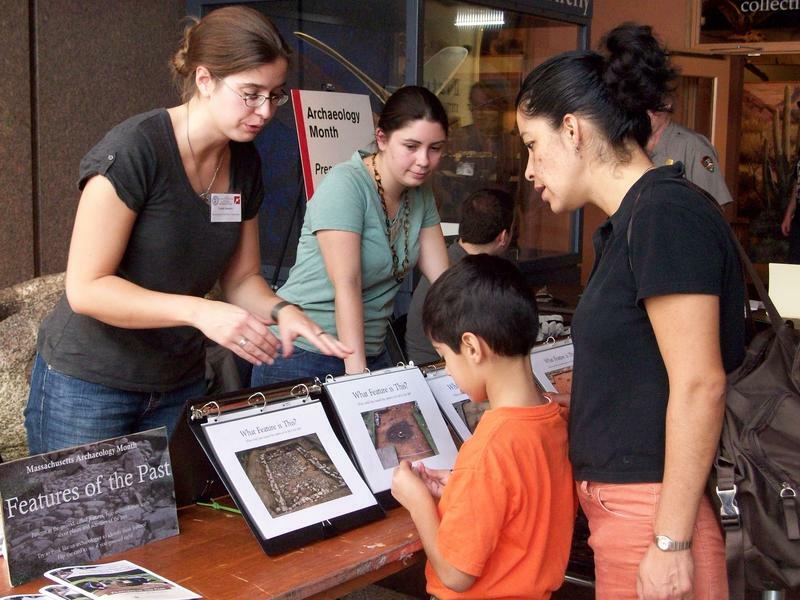 Sixteen organizations, archaeologists, museum specialists, and other experts were on hand to discuss various aspects of their archaeological work with fair visitors. 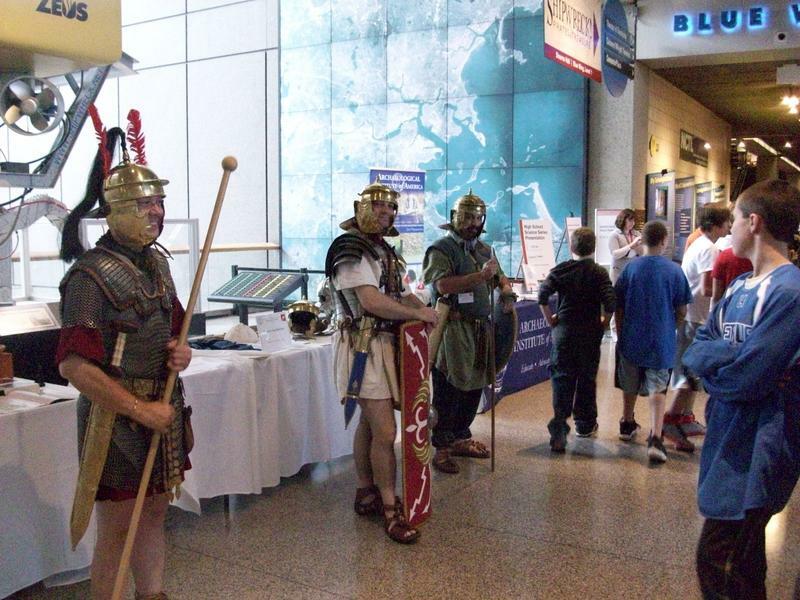 Presenters engaged attendees with live demonstrations, including flintknapping, atlatl throwing, and the daily responsibilities of a Roman soldier. 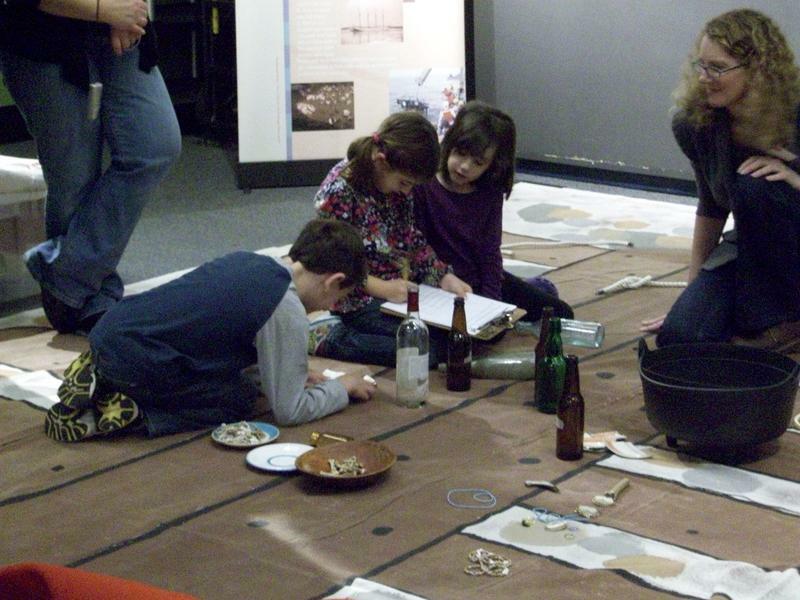 Attendees were able to try their hand at ancient Egyptian hieroglyphs, ancient games from the Near East, mock-digs of Bunker Hill, simulated underwater excavations, ancient grain-processing technologies, and much more! 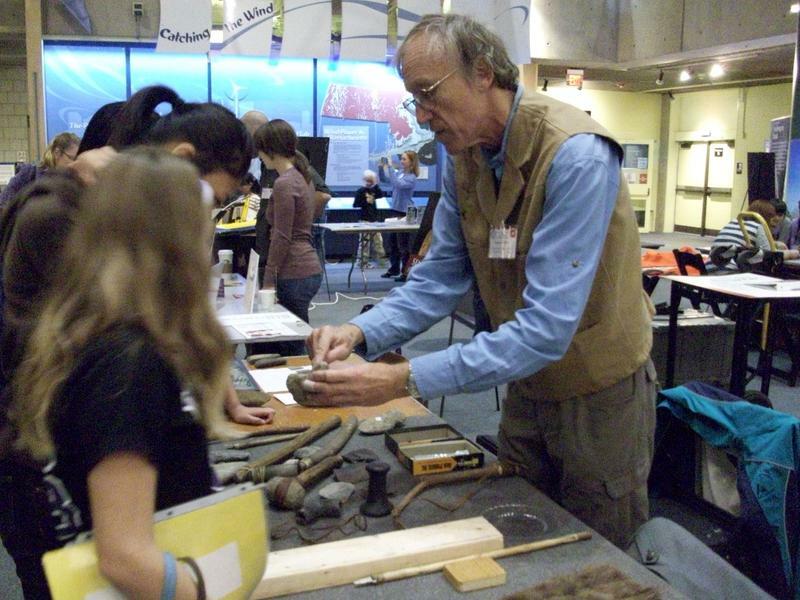 This annual fair provides a great opportunity for New England archaeology enthusiasts of all ages to come together to discover, learn and share their passion for the past. In addition to the AIA, presenters this year were Boston National Historical Park, Franklin Pierce Anthropology Club, the City of Boston Archaeology Program, Legio III Cyrenaica, American Textile History Museum, Massachusetts Board of Underwater Archaeological Resources, Massachusetts Archaeological Society/Robbins Museum, Massachusetts Historical Commission, Museum of African American History, New Hampshire Archaeological Society, Project Archaeology, Public Archaeology Lab, Inc (PAL), Robert S. Peabody Museum of Archaeology, Semitic Museum at Harvard University, and Stellwagen Bank National Marine Sanctuary. The AIA would like to thank the volunteers from the AIA-Boston Society and Boston University, the wonderful staff at the MOS, and the presenters who helped make this event a success! 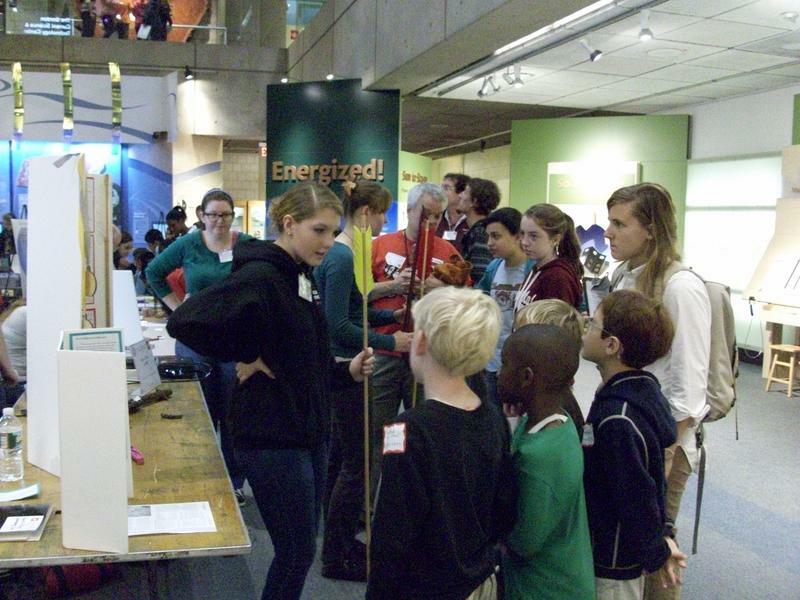 2013 AIA-MOS Archaeology Fair Brings its Biggest Crowd Yet!